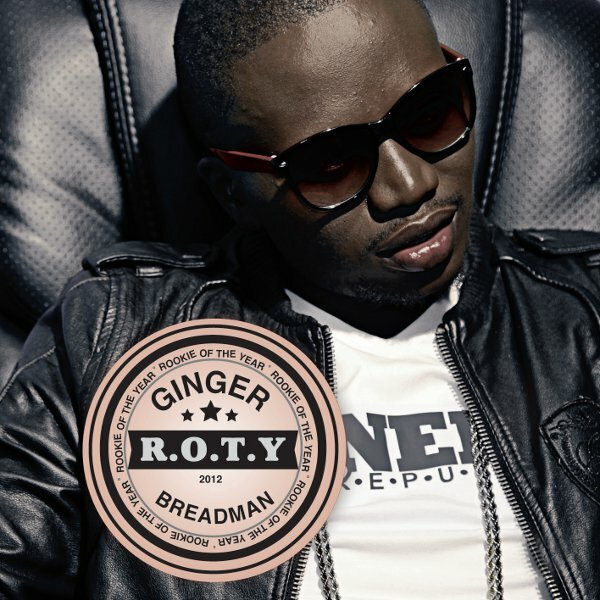 In a world of newcomers one can barely pay attention to a single artist for long enough but Ginger Breadman has managed to be a prominent name in the come up list. With his bursting onto the scene last year after graduating from YFM’s Full Clip as one of their ace rappers to 5Fm’s Hip Hop Power Nights where his raps in ciphers earned him more stripes to the masses, one can only wonder what he is up to now. Well, he is releasing his debut album titled “R.O.T.Y” (Rookie of the Year) this winter and has managed to cause quite a stir after it was pushed back in April. His first single from the album, “I’m Just Sayin'”, which features Cashtime Fam’s Kid X, has been in demand since its release after 4 weeks of high rotation on campus to national radio stations. Unlike his former singles “R.O.T.Y”, “Get Mine”, “Shooting At Stars” and “What It Look Like”, this one is not up for download meaning people would need to order the album to hear the song and what else is in store. Pretty clever if you ask me! However, there’s a twist to the album’s dynamics. The single (“R.O.T.Y”) that somewhat introduced him to the game is not on the album and this, according to Ginger, was because he wanted to create all-new music along with the fact that the title is still a befitting description of his position in the game. There’s something rather peculiar if not intriguing about Ginger. He is not signed to any well known label in the game, he does not seem to be living by the same rules most rappers seem to follow yet he is doing quite well for a person in his position. “What is his secret?”, we query. He has a team of engineers, an exclusive producer who had to cut all ties with providing his beats to external parties and an effective marketing assistant who all work together to put a good product to the market. This team is known as TinismDotc0m which is an indie record label but moreover a strategist company that works only with two artists, namely Ginger and a songstress, Ayanda Jiya. They produced, recorded and mixed their own product and will do everything else, along with shooting their own videos, independently. The game is changing and this here is an example of where our musicians are headed. Looking deeper into the album, it is a 13 track offering with different fuses of Ginger, the raw cipher MC and the refined artist he has become since coming onto the scene. It is rather musically inclined in comparison to the expected bass and kick filled album from a rapper. It features Kid X, Riot, PdotO, Ras, Fruity and label mate Ayanda Jiya. Only time will tell whether all the hype is believable but for now, we’ll take the buzz for its noise. You can order the album, going at R100, by emailing gingertrilly@gmail.com with your full details and social network names along with how many copies you would like to have. We’ve heard and seen him twice in our 33rd and 42nd issues. We can only wait to see what else he’s got to offer to the game or what’s in his bakery.